Synopsis: A New Orleans DA discovers there’s more to the Kennedy assassination than the official story. Given the swirl of conspiracy theories and rumours that have surrounded the assassination of President John F. Kennedy in Dallas almost since the fatal bullet entered his head in November 1963, it’s surprising that the topic has so rarely served as the focus of a movie. 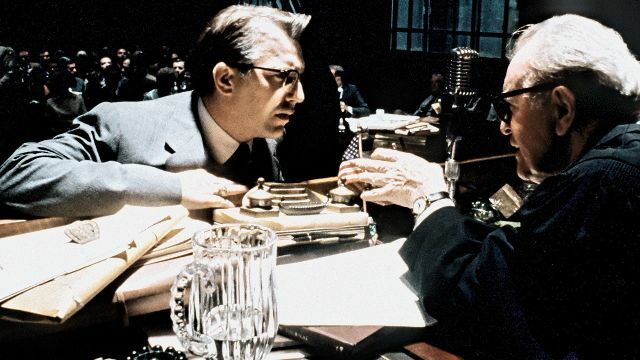 Perhaps less surprising is the way that few filmmakers have tackled the subject since Oliver Stone’s exhaustive, controversial take on the murky details and characters involved in the aftermath of the President’s assassination. Those who have done so have chosen, perhaps wisely, to focus on other aspects of the story. 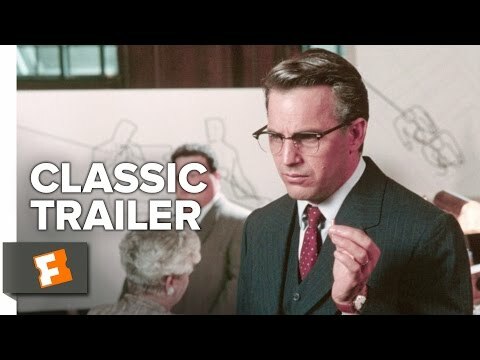 Stone’s film is a breathless discourse of outrage and indignation that pretty much dismisses official versions of the assassination in favour of a web of evidence spun by New Orleans DA Jim Garrison (Kevin Costner – Man of Steel) from the evidence of lowlifes, eccentrics and those with an axe to grind. That doesn’t mean Garrison wasn’t on the right track, and this review doesn’t intend to provide any opinion on whether Lee Harvey Oswald worked alone or as part of a team, or was merely a patsy set up to take the blame for those who really did kill the President. This uncertainty lends itself to all sorts of scenarios which fit neatly within the thriller genre, but Stone chooses not to question Garrison’s theories but to present them as cold, hard facts which some sinister cabal has sought to suppress. We see Oswald (Gary Oldman – Leon, Batman Begins) in the days immediately before and after the assassination, but only in flashback, as a visual representation of another character’s recollection or reiteration of evidence provided, and it strengthens the impression that Oswald is the puppet Garrison claimed he was, his strings pulled by unseen forces. The assassination is shown on grainy film stock from a witness point-of-view, but more often than not Stone bombards the screen with blurred fragments of action to suggest the panic and confusion of the moment. It’s typical of his style throughout, and while it is an effective exercise in style, it doesn’t really aid him in his endeavour to tell a large and complex story in a coherent way.